James (Jim) H. Mills is a graduate of Edmunds High School in Sumter, SC. and the University of South Carolina where he received the Bachelor of Arts and Masters degrees in music education. 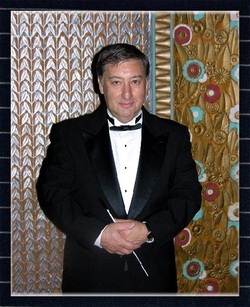 For twenty-five years, Mr. Mills served as director of bands at Chapin Middle School and Chapin High School (CHS). His marching bands consistently received "Superior" ratings, finished among the top five in the state twenty-two times, and twice were state champions. The CHS marching band performed twice at Disney World in Orlando, FL., in the Hermes and Endymion Parades in New Orleans during Mardi Gras in 1993 and was one of twelve American bands in the Lord Mayor of Westminster's New Year's Day Parade in London, England in 1991 and again in 1997. The CHS symphonic band traveled to festivals in Atlanta, GA., Nashville, TN., St. Louis, MI., Philadelphia, PA., the Festival of Champions in Panama City, FL. and numerous other competitions. In 1995 Mr. Mills' symphonic band took "Best-In-Class" honors at the Toronto, Canada music festival, also receiving the Festival Grand Championship Award. Upon his retirement, Jim taught for four years at Heathwood Hall Episcopal School. He currently serves as educational representative for Star Music Company's three locations in Columbia SC. and continues to be active as an adjudicator and clinician. Jim resides in Chapin, SC. with his wife, Vicki, and is a member of Saint Francis of Assisi Episcopal Church. His daughter, Ashleigh, lives in Greenville while his son, Brian, resides in Chapin with his wife, Michelle, and their son, Preston. Mr. Mills is a member of Music Educator's National Conference, the South Carolina Band Director's Association (SCBDA), Phi Mu Alpha Sinfonia, the SC Music Educator's Association, and is past president of the SC chapter of Phi Beta Mu National Bandmaster's Fraternity. He is listed in "Who's Who Among American Educators" and "Who's Who in America". Other professional honors include the National Band Association's "Citation of Excellence" and the Sertoma "Service to Mankind" award. Mr. Mills was elected to the SCBDA Hall of Fame in 2007, and recently was inducted to the Phi Beta Mu Hall of Fame.